Japan has announced plans to prohibit practice golf swings in public across the nation by the end of August in the lead up to the 2020 Tokyo Olympics. 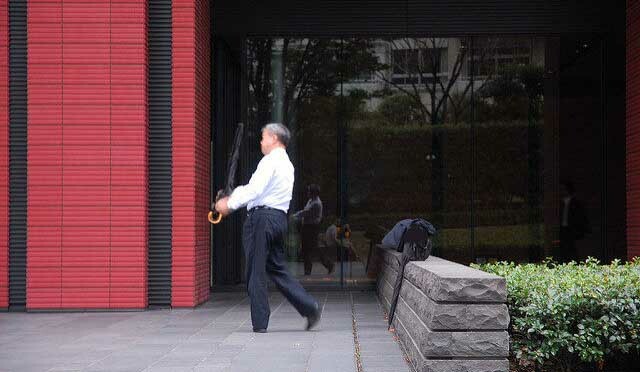 A spokesperson for Japan says salarymen practicing their golf swings or baseball swings in public could “hurt the image” of the nation. “We want foreigners to enjoy their experience in Japan without having salarymen shadow golf swinging up in their grill so they’ll spend more money,” he said. Japan is also planning to introduce a ban on public displays of yoga stretching to appease overseas visitors during the 2020 Olympic Games. “That filth shouldn’t be exhibited in public,” says foreign tourist Diego Mancinni.